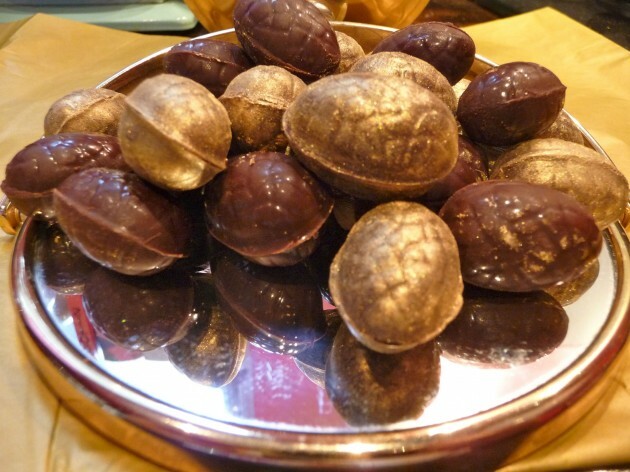 Make your own mini eggs! 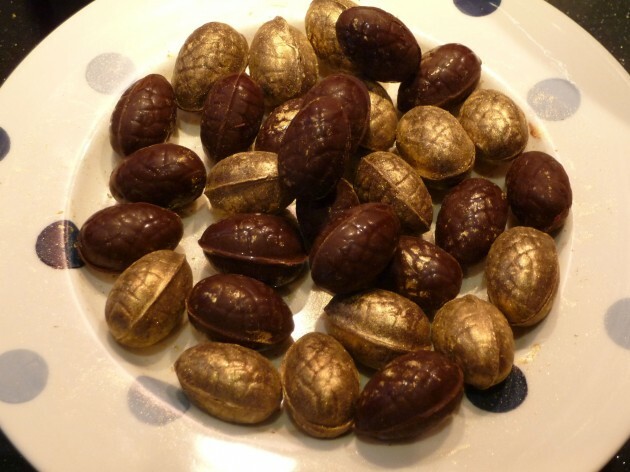 I love a good mini egg and being far too reliant on the instant-out-of-a-Cadbury’s-branded-bag variety I thought I’d have a go at making them myself and it turns out, it’s not that hard! I am hoping to score top marks at our Easter Sunday family lunch next weekend. PS Maybe don’t put the mould in the dishwasher afterwards, I did and it bit like the chocolate, it melted. Not pretty. Take an 18 hold plastic mould (I bought mine from Lakeland for a few pounds). 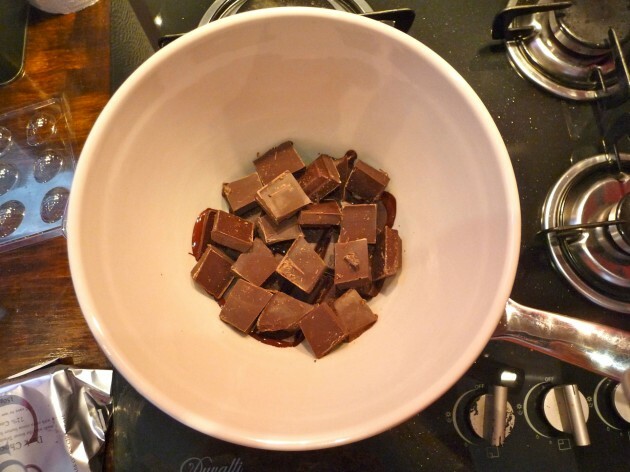 Melt a slab of chocolate (I went for good old trashy Cadbury’s Bournville) be careful not to heat it to too high a temperature nor stir it to much (pic.1). Pour the chocolate into the wells of the mould, give it a gentle shake to level out the chocolate and leave to set in the fridge (pic.2). 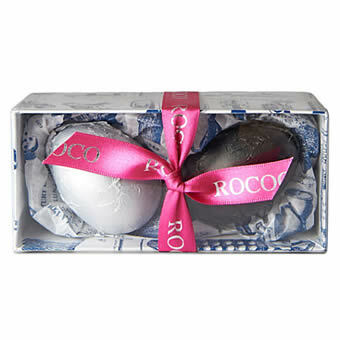 Two solid chocolate Easter eggs from Rococo Chocolates presented in a ribbon tied box: the white foiled egg is milk chocolate with sea salt and the black foiled egg is spiced with black pepper and chilli, salted & peppered. 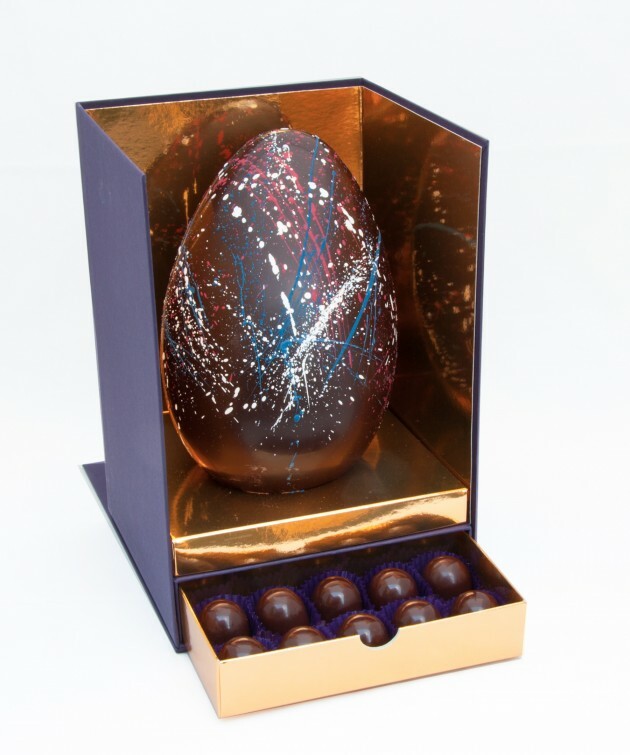 Also from Rococo Chocolates for Easter are the Chocolate Hen Eggs and the Rococo Chocolates Hand Painted Easter Eggs, also in beautiful boxes. 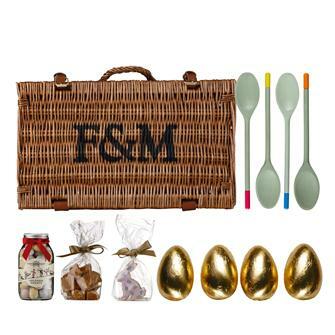 Containing four wooden spoons and four chocolate eggs for an egg-and-spoon race, it includes a handmade cookie for the winner as well as Speckled Eggs and Hot Cross Fudge for sharing. 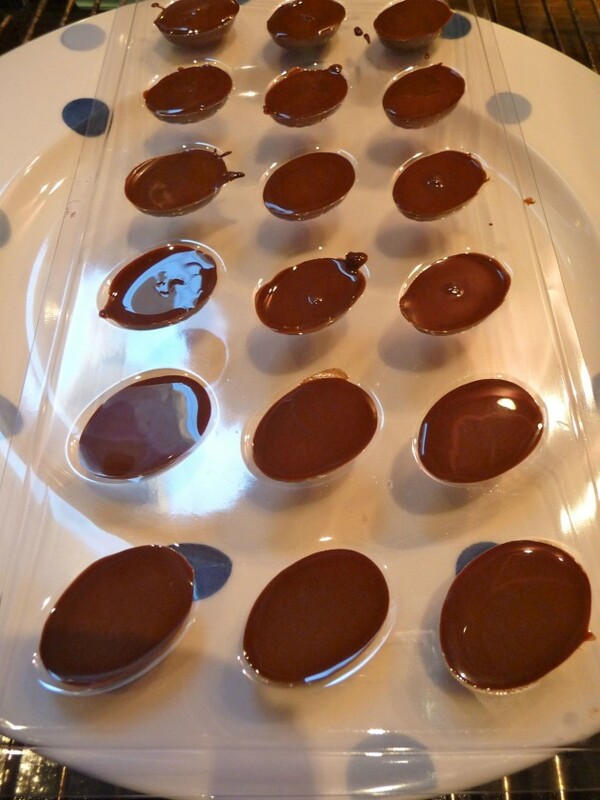 This entry was posted in Recipes, Spoon, Uncategorized. Bookmark the permalink. One Response to Make your own mini eggs!